A DW political correspondent is appearing every week on Ugandan broadcaster NBS-TV’s news program “Live at 1” . With 10 million viewers, the channel is one of Uganda’s top-three most popular sources of news. NBS TV is part of Next Media Services, one of East Africa’s largest media companies. Also in Uganda, DW added Bunyoro Broadcasting Service as a new radio partner. The station based in Masindi will broadcast 15 minutes of AfricaLink and Crime Fighters every day. In Kenya, Nyota TV is acquiring daily news broadcasts from DW along with the programs Arts21, Close Up and Eco@Africa. In Tanzania, DW has added new radio partners. Radio Uzima in Dodoma, Kahama FM in Kahama and Radio Furaha in Iringa are all rebroadcasting a selection of DW programming in Swahili. In Myanmar, the Pay TV service “Forever Group,” which was recently bought by CANAL+, is broadcasting DW’s English-language channel across the country on IPTV and DHT. DW’s broadcasting partner in Thailand, PSI, has acquired the DW programs Tomorrow Today, Global 3000, Drive It, In Good Shape and Euromaxx. PSI is available on the satellite Thaicom 5 and reaches 18 million households. The Vietnamese cable provider HTV-TMS in Ho Chi Minh City is including DW’s English-language channel on ist OTT platform and on its website. HTV-TMS is available to 600,000 subscribers. DW has new partnerships in The Gambia with the state television and radio station Gambia Radio and Television service (GRTS). The DW programs included are Africa on the Move, Eco@Africa, In Good Shape und Kick off! Also in Gambia, DW is now radio partners with Paradise FM Radio, BIZ FM Radio and Capital FM, which will be broadcasting DW’s radio shows AfricaLink, Crime Fighters and Learning by Ear. One of Indonesia’s leading video websites, vidio.com, is including DW’s Indonesian-language technology show Inovator along with selected programs from DW English with Indonesian subtitles. DW and DW (Deutsch) are now available in Thailand on the TrueVisions Anywhere app for iOS and Android, developed by the country’s largest cable provider. Work on Learning by Ear’s new dramatic radio series in Kenya, Crime Fighters, had already begun in early April when militants attacked Garissa University in the northern part of the country killing 147. A few weeks before the attack, DW Hausa‘s Pinado Abdu finished writing a section of the series titled The Radical Journey, which focused on what would make a young person turn to terror. Even before its first broadcast, Crime Fighters was already touching on an unfortunate reality – but the series also provides many positive lessons. Crime Fighters is aimed primarily at young Africans and encourages them to understand their problems in a more conscious and courageous light. The stories center on young investigators who solve challenging cases that affect young Africans like terrorism, property theft, poaching and counterfeit drugs. The stories were written by a team of African authors. In total, Crime Fighters is made up of 32 ten-minute episodes that are divided in to four fictional criminal cases taking place all over Africa. Recording for the series was completed in May at the Kenya Institute of Curriculum Development in Nairobi. Crime Fighters is now being broadcast in English, Kiswahili, Hausa, French and Portuguese in 30 African countries. Crime Fighters is part of the educational radio series produced by Learning by Ear, which has been a big hit in Africa. Like the successful series Crossroads Generation , Crime Fighters is broadcast by over 250 partner stations across the continent. 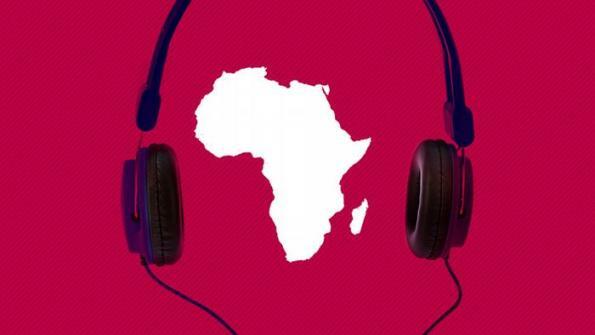 It is also available by podcast on AfricaLink and will be heavily featured on social media. The news websites Focus Guinée und Guinée Signal are now DW partners for online content in French. The radio stations RTCT, Radio Télévision Communautaire Oasis and Radio Télévision Communautaire Ondese are now DW partners in Congo. They are broadcasting DW’s radio program daily in French and Kiswahili. R2A Radio Azur in Togo is now broadcasting Learning by Ear, as well as the morning and evening shows in French and the evening show in Hausa. In Cameroon, DW has three new partners for TV and radio. TV+ Cameroun will be including DW’s English channel in its portfolio, Canal2 will be broadcasting select programs like Made in Germany and Conflict Zone and CBS will broadcasting radio programs like Learning by Ear and AfricaLink. UTV Ghana and Light TV are now DW partners as well, broadcasting programs like Kick Off! and Business Brief. Also in Ghana, Vision 1 is now broadcasting DW’s radio program AfricaLink as part of its lineup. DW is now working with MHz Networks in North America to distribute the English channel DW. MHz will now be broadcasting a three-hour block of DW from 15:00 to 18:00 (Eastern Time), which is picked up by DirectTV, more than 31 PBS stations and many other cable networks. It’s available in markets like New York, Los Angeles and Chicago and reaches more than 40 million households. DW will be one of the first media companies to be included in Apple News with its own channel. The app has been included in the iOS9 launch. The Indonesian website kompas.com is a new DW partner. Kompas will be integrated DW’s online content in Indonesian to its portfolio. It’s the 11th most popular website in Indonesia with 20 million active users and 40 million page impressions per month. As part of a new coproduction, DW’s award-winning lifestyle program Euromaxx is now available in Lithuanian and broadcast on the public broadcaster LRT. DW’s Arts.21 is also being produced and broadcast by LRT in Lithuanian.